...'s friend doesn't like you? ...is the successor to RadicaVlll? ...was himself made in Adobe Photoshop? ...starred in the hit TV Series CRiSPs? 60,000 This user has contributed 60,000 pints points to the Uncyclopedia [email protected] Team. 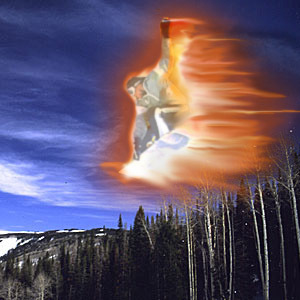 RadicalX set himself on fire and goes snowboarding. The proverbial Rebel without a Cause, stemming from the root 'Radical', meaning revolutionary, and 'X', a variable. Could also mean Rebel without a Clue. The name RadicalX has been used throughout the Internet to refer to THIS RadicalX since 1995. Many imposters exist however. Do not be fooled. There is one true X, and he is me. And Bradaphraser is his prophet. Radical X is well known for his blasphemous articles and pictures about Jesus, the Pope, Vatican City, Mr. T, St. Peter, Mother Teresa, Marc Antony, and L Ron Hubbard. It is widely accepted by those in the religio-scientific community (known as Christian Scientists, or Scientologists) that he will burn in hell eternally for his contributions to the Uncyclopedia. Feel free to go into my discussion page and request images directly. I love making them, as you can see in my image gallery. Also, I regularly check the requested images page. I've recently added a non-award section, titled True Gems. If your article is here, put a feather in your cap and call it macaroni. Oh, yeah. 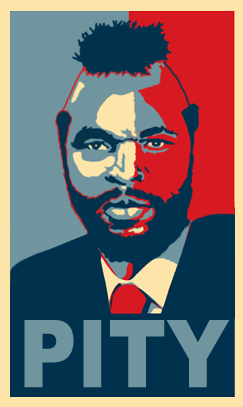 I'm also the founder of the Church of T, dedicated to spreading the light and hope that Mr. T brings to our every day lives. He looks upon us poor fools with pity, and beckons us to follow his Great Commandments. By following these great words of wisdom, we can all lead better lives. Jesus has Had enough of your Crap. Please refrain from Annoying Him any further, lest He turn the blood in your body to Salt. And, no, He does NOT Have a Sense of Humour. 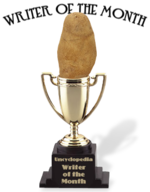 Awarded 12/16/05 ~ For your stellar contributions to Uncyclopedia:[email protected]. This user has been given an Olive Wreath so they can hang it on their head. 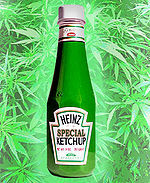 Ask and ye shall receive! This template is to prove that RadicalX has personally invaded Image Request, and has artfully and/or skillfully completed numerous demands of talentless would-be potatochoppers. Radical X himself is probably either proud, jealous, or stunned at how RadicalX somehow managed to win this. If the latter is true, blame this guy for giving this to RadicalX. This page was last edited on 27 April 2011, at 04:31.